DinoBoy's going for an excursion the next day and the school's letter indicates that he needs to pack "some healthy snacks", so I thought "What's healthier then home made cupcakes?". And what's more meaningful then to let DinoBoy bakes them? 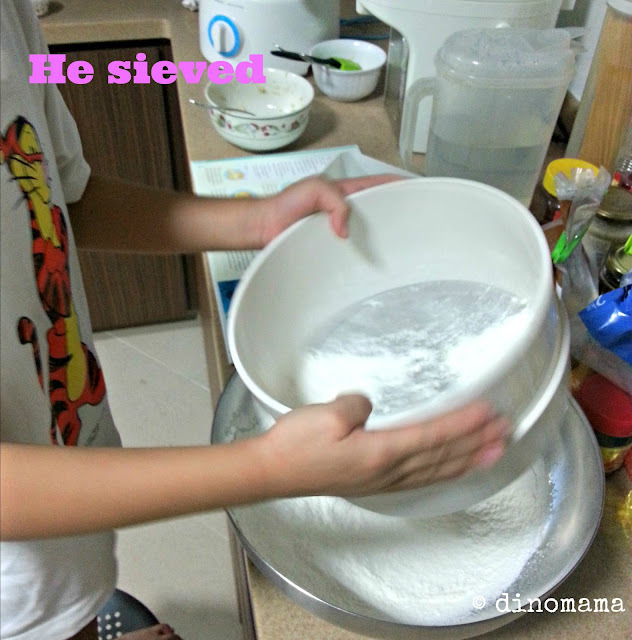 So we brought out our Usborne Children's Book of Baking Cakes and set out to make them. When I told him that he will be doing ALL the work he was clapping his hands then he said "But Mama, you have to help me do ONE thing. You have to help me put them inside the OVEN!" Well, this is not his first baking fun, he had a blast of fun baking Gingerbread Man cookies last Christmas. 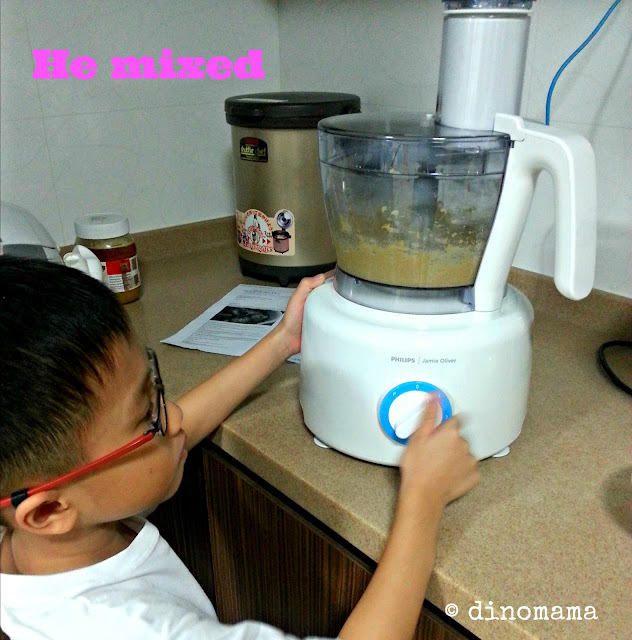 He was surprised that I allowed him to use my new Jamie Oliver food processor, he looked at me wide eyed and said "You sure Mummy? I can?" 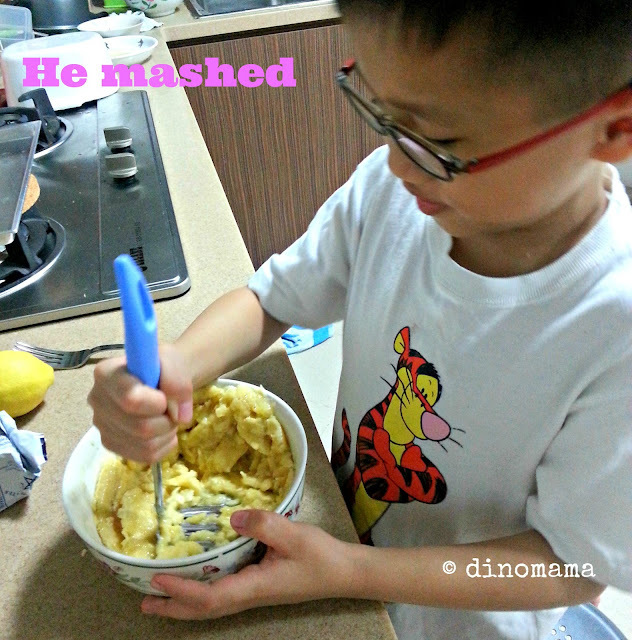 Yes my dear son, you may because the food processor is safe for kids to use under adults supervision. 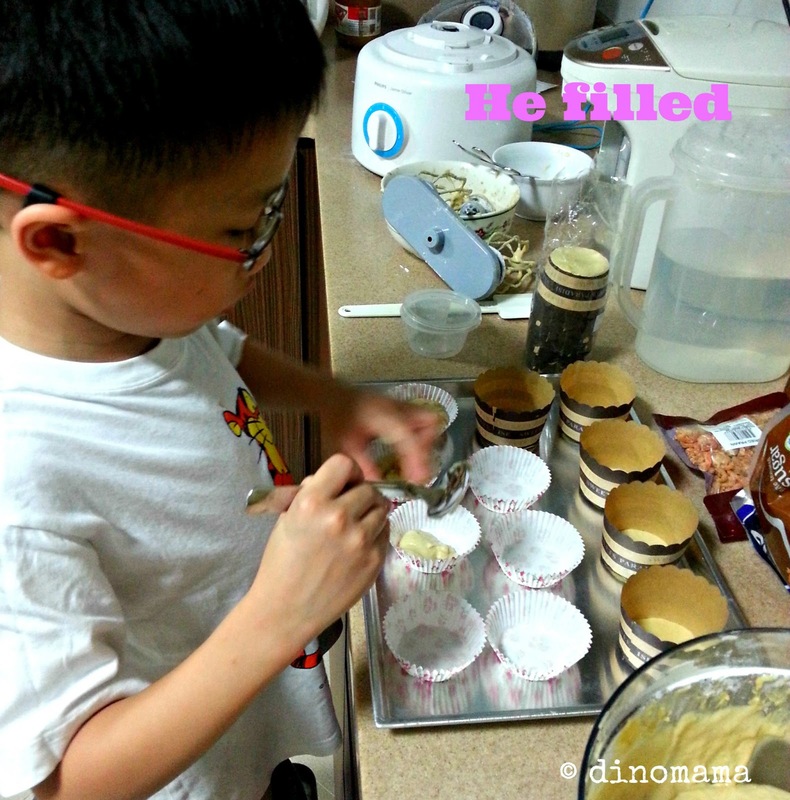 DinoBoy did great job measuring, mixing etc, after he finished filling some of the cuppies I told him I'll do the rest so that we can quickly pop them into the oven. Well, as you can see, we ran out of cupcake cuppies but lucky we have plenty of muffin cuppies. I know those in the muffin cuppies looks a little bit pale but I'm lazy to pop them back into the oven for another few minutes. 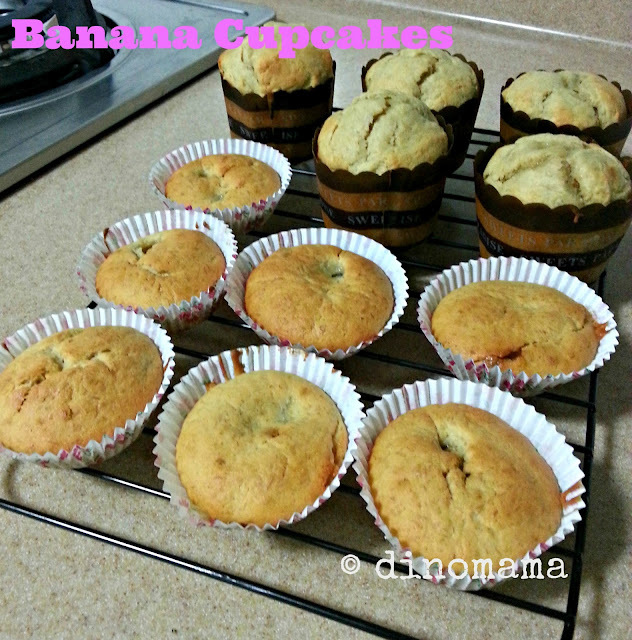 The Banana Cupcakes are delicious, even without the icing. 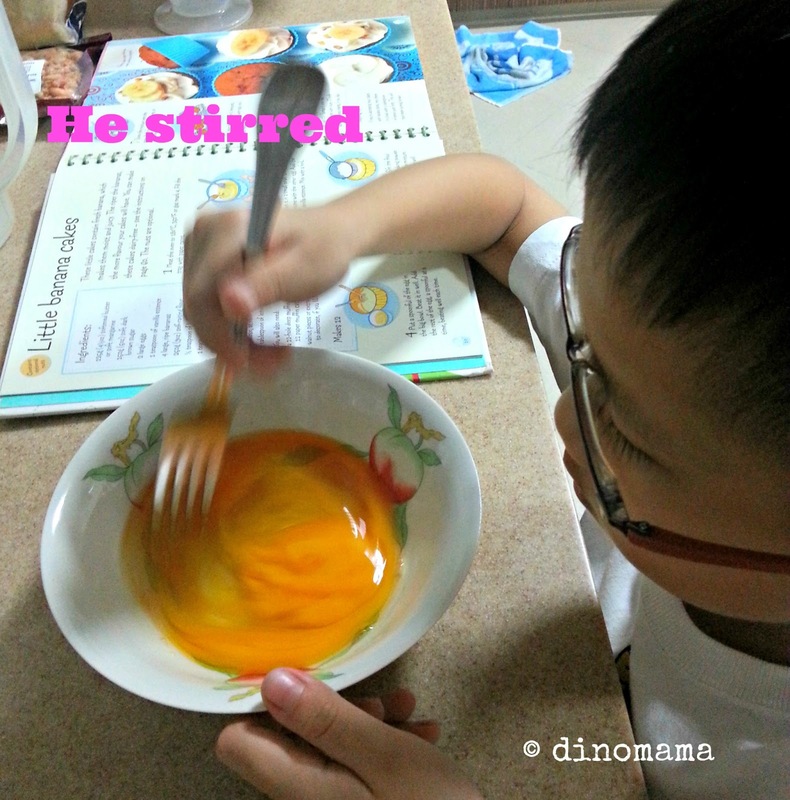 That's beside the point, the best part is DinoBoy had his fun baking, I had the fun taking photos and giving minimum supervision, and DinoPapa had the fun eating his son's cupcakes; of course leaving some for his excursion. Well done Z! Save some of me too.